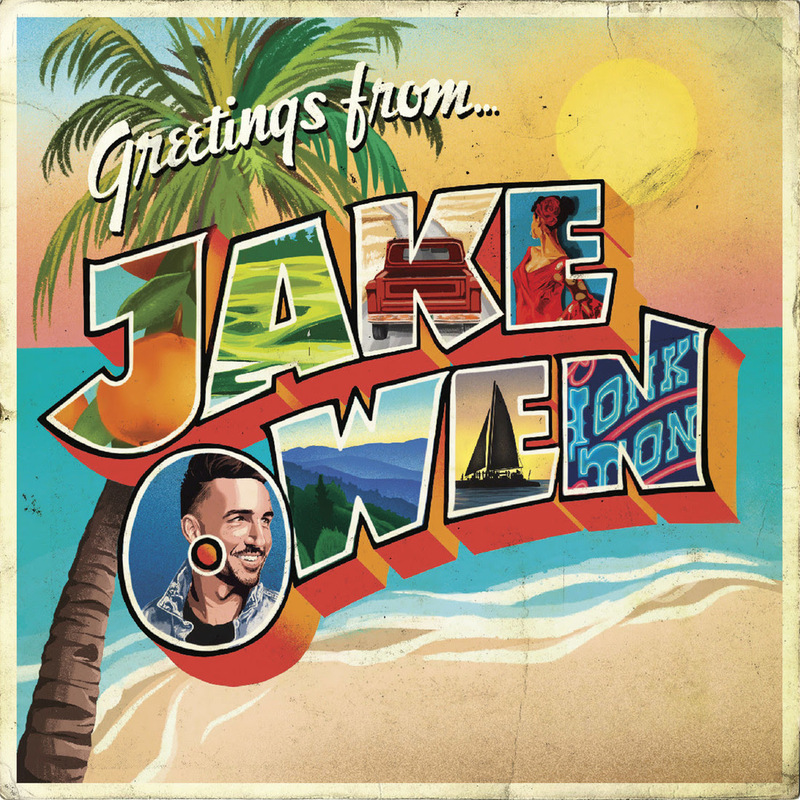 NASHVILLE, TENN. (April 9, 2019) – Seven-time chart-topper and Big Loud Records star JAKE OWEN is feeling the love following the debut of his sixth studio album, GREETINGS FROM…JAKE. Highlighting his signature blend of traditional twang and chill-country coastal flair, the album arrived inside the TOP 10 of Billboard’s Top Country Albums chart fueled by the excitement of several high-profile media looks. Following the album’s release, Owen delivered a cool and collected performance of that life-is-what-you-make-it anthem on NBC’s TODAY, and has continued forward with a whirlwind media tour. He’s appeared on multiple podcasts from the popular Barstool Sports empire – including Fore Play, Podfathers, KFC Radio, Thinker and Wine Walk – and also sat for a deep-diving interview with Build NYC’s Get Closer series. Owen celebrated the album’s success in part by attending Sunday’s 54th ACM Awards, where he was nominated for the coveted Single of the Year for “Down To The Honkytonk.” He’ll keep the good vibes going for select concert dates at festivals, fairs and more this summer, with coast-to-coast shows on the schedule through September. For more information, visit JakeOwen.net or Facebook at www.facebook.com/jakeowen, and follow him on Instagram @jakeowenofficial and Twitter @jakeowen.